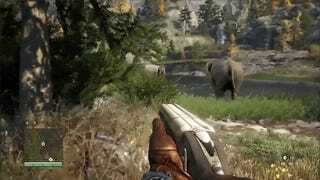 Like its predecessors, Far Cry 4 will let you get your kill on in a quiet and stealthy fashion. But who wants to do that when you can ride an elephant, smash through gates and bust shotgun shells at fools? The video above from PlayStation Access showcases two very different approaches to playing through a section of Ubisoft's upcoming open-world FPS. Crossbows are always cool, yes, but getting all king-of-the-jungle on a surprisingly obedient pachyderm who you just met? That's pretty fun.